Jacques Champagne de Labriolle, French Ambassador to Nigeria has claimed ownership of weapons found on a chad bound Russian plane. According to PREMIUM TIMES, a statement issued by the ambassador said his country chartered the Russian aircraft to help it convey some military hardware from Bangui (Central African Republic) to Ndjamena (Niger). A Russian commercial plane carrying two light Gazelle helicopters belonging to the French Army has unexpectedly landed in Kano on Saturday December 6th, early in the afternoon. On 6 December, the French armed forces had chartered a flight on the Russian commercial company “224 Flight Unit”, to ship 2 light helicopters from Bangui to Ndjamena. The shipment is organized as the size of the French military intervention in CAR is being reduced, as was earlier announced by the French Authorities. The cargo airplane, an Antonov 124, had a regular flight plan from Bangui to Ndjamena ; the flight was covered by a diplomatic clearance given by the Ministry of Foreign Affairs of the Federal Republic of Nigeria. The freight consisted of 2 ‘’Gazelle’’ helicopters (a 4 seater light liaison helicopter) with spare-parts and maintenance items. 2 French military non-commissioned officers escorted the equipment as passengers. As the Antonov was approaching Ndjamena, the air traffic conditions were too dense to authorize the landing of the aircraft ; and the Antonov had to divert to an alternate international airport. The closest airport facility being Kano, the Russian crew decided to fly there, to refuel, and to take off again to reach Ndjamena Airport. Due to the nationality of the aircraft, and the nature of the cargo, local airport Nigerian authorities in Kano have decided to check the flight plan, the clearance and the cargo manifest before authorizing the plane to leave. Official information has been supplied by the French Embassy in Nigeria. The Nigerian federal and airport authorities, being satisfied with the documents and the genuine character of the flight, have announced that the plane will be authorized to pursue its flight to Ndjamena. Contrary to some press reports, there was absolutely no weapon, and no ammunition on board the aircraft. The use of chartered flights of various nationalities for military cargo transport is a standard international practice : it is used by many nations, and is coherent with commercial competition to reduce the cost of such transport operations. The use of Russian companies to transport French military equipment is common practice. 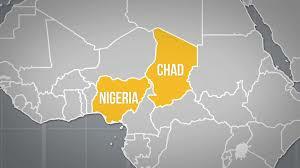 As for the move of the helicopters between CAR and Chad, it is part of the French effort to support regional cooperation against terrorism, as agreed by the Heads of State of Nigeria, Niger, Chad and Cameroon during the security Summit held in Paris in May, 2014. Help keep Oyibos OnLine independent. If you value our services any contribution towards our costs will be greatly appreciated. Nigerian oil unions threaten strike if ‘anti-labor practices’ not addressed How Is Corruption Measured And Eliminated?